Matthews Environmental Solutions has been designing and engineering human cremation systems for many, many years. Today our Novus™ cremation plant is internationally recognised as the ‘Gold Standard’ not only for quality of design and manufacture, but also for the efficiency of operation, environmental compatibility, fuel efficiency, operational longevity and ease of maintenance. 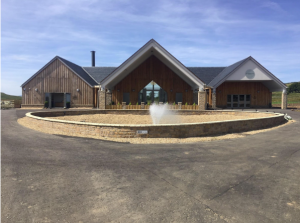 These are not all, but they are just some of the outstanding reasons why we are unquestionably the cremator manufacturers of choice for what is an ever-increasing number of crematoria operators – both private and public authority. Novus ™ has become a watchword for total and absolute reliability, with robust steel plate casing construction that is further enhanced with reinforced steel sections. Combined with the excellence of our design and the unrivalled quality of our UK based engineering standards, it is little wonder that in addition to offering simply design, supply and install, we are comfortable to support our systems with all-inclusive support contracts for as long as 15 years. This in itself underlines one hundred per cent our world leading cremator manufacturers reputation. In addition to their undoubted design and structural excellence, the operational qualities of Novus™ human cremation systems are also in a class of their own. Exceptional refractory quality, reinforced by a unique hot hearth configuration; while automatic suction control and positive door seal technology prevents uncontrolled tramp air and ensures maximum heat retention. Every Novus™ cremator system is designed to guarantee optimum efficiency whilst at the same time we have built in all the refinements that substantially reduce process time, maximise fuel consumption economy, and ease of operation. Even so, as the world’s most progressive cremator manufacturers, our appeal to crematoria operators is not simply restricted to the technical and environmental excellence of our plant. Equally as important is our adaptability and the flexibility of our design contribution. 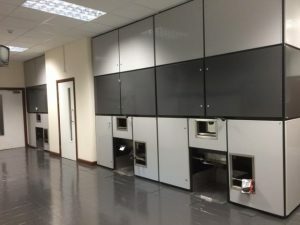 Our unsurpassed experience ensures that we can customise the configuration of each installation so that it perfectly corresponds with the individual requirements of the crematoria operator and also to any restrictions that may apply to the crematoria building itself. Novus ™ human cremation systems are the number one choice for an increasing number of public authorities, national organisations and private crematoria operators throughout the UK, Europe, America and around the world. That is why we are the world’s leading cremator manufacturers! If you are currently planning a new crematorium or if you are looking to upgrade your existing cremator plant then you must speak to Matthews, the world’s leading cremator manufacturers, to discover how we can help you achieve all your objectives. You can call us on +44 (0)161 337 4488. You can also email us at: sales@matwuk.com or you can also send us an online message using the form that can be found on our Contact page.